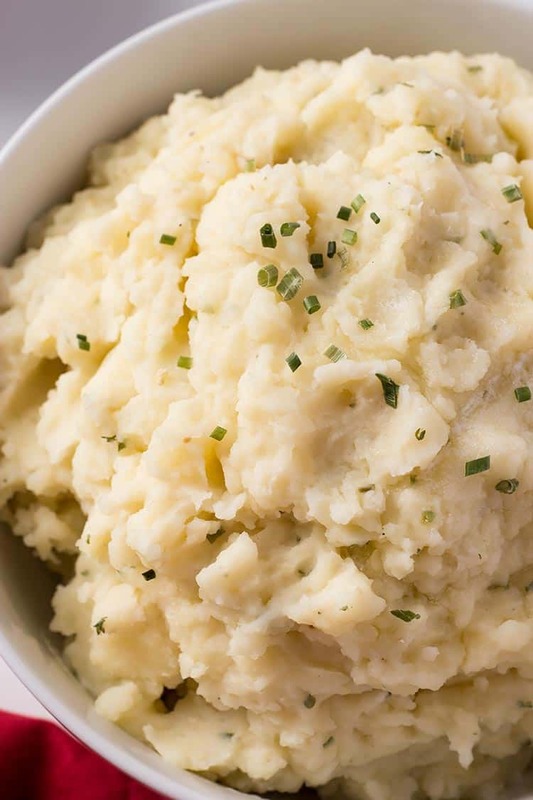 These Garlic Herb Mashed Potatoes are one of the first recipes I ever made in my electric pressure cooker, and they are now the ONLY way I do mashed potatoes! This recipe is adapted from the recipe book that came with my original Cuisinart model. They are so easy and super creamy! Even better, you can make up a large batch and store extras in the freezer to pull out as needed!! I got my first electric pressure cooker about 10 years ago. It was a humble little Cuisinart 6 quart model – no fancy bells or whistles. But it was quite an upgrade from the older stovetop models and it definitely got the job done! This was LONG, long before the Instant Pot had even been created, or imagined. Long before pressure cooking started becoming popular again. The newest iterations are now electric (they are self-contained and don’t need an external heat source like a stovetop) and have several additional safety features which have made them significantly safer than their olde-tyme counterparts. But the basic cooking principle is the same – you put something under pressure and you get much higher temperatures, which allows you to cook food much faster than you can in an oven or on the regular stovetop. 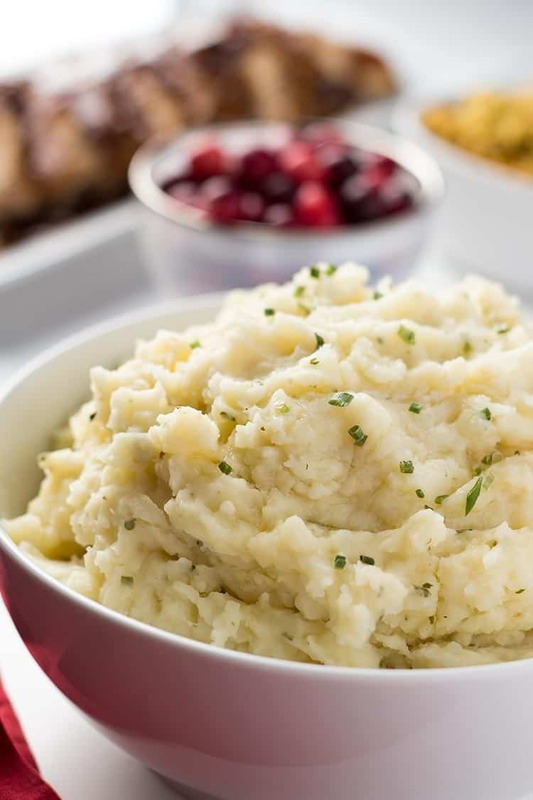 Now, the secret to freezing mashed potatoes is using a recipe that calls for the addition of plenty of fat. That’s what keeps them stable when freezing and allows you to thaw them without them getting grainy and soupy. 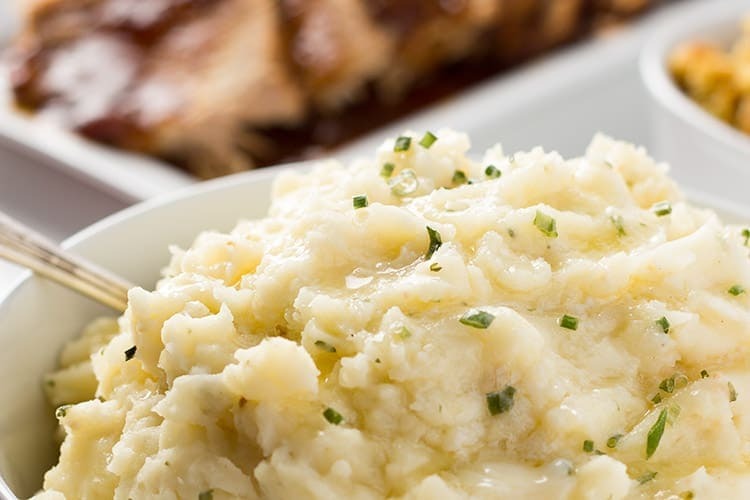 So, don’t try this with just any mashed potatoes. Make sure the version you use to freeze includes the addition of cream or cream cheese and plenty of butter. The more fat, the better they will do when frozen and then reheated. You can portion them however you’d like, either in individual servings, or in batches. I like to put them in small aluminum trays and then reheat them in the oven. You can portion them out with a cookie scoop on a sheet pan if you like, or stick 1-2 cups worth in a freezer ziptop bag. It’s totally up to you. 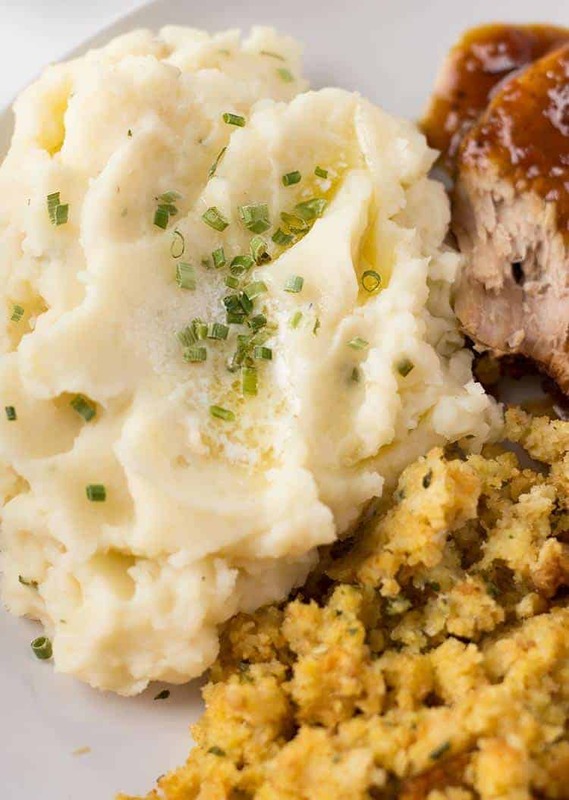 These pressure cooker Garlic Herb Mashed Potatoes are easy, creamy and full of flavor! Make up a double or triple batch for dinner, and freeze the extras for future meals!! Place potatoes, water, garlic, vinegar and 1 teaspoon salt into cooking pot of pressure cooker. When cooking time is completed, quick release the pressure using your venting valve. Once pressure is fully released, carefully lift cooking pot out of pressure cooker and drain potatoes. Return cooking pot to pressure cooker and set your pressure cooker to Saute. Let potatoes cook for 2-3 minutes to dry potatoes and remove excess moisture. Add heavy cream and remaining salt (1-2 teaspoons) to cooking pot. 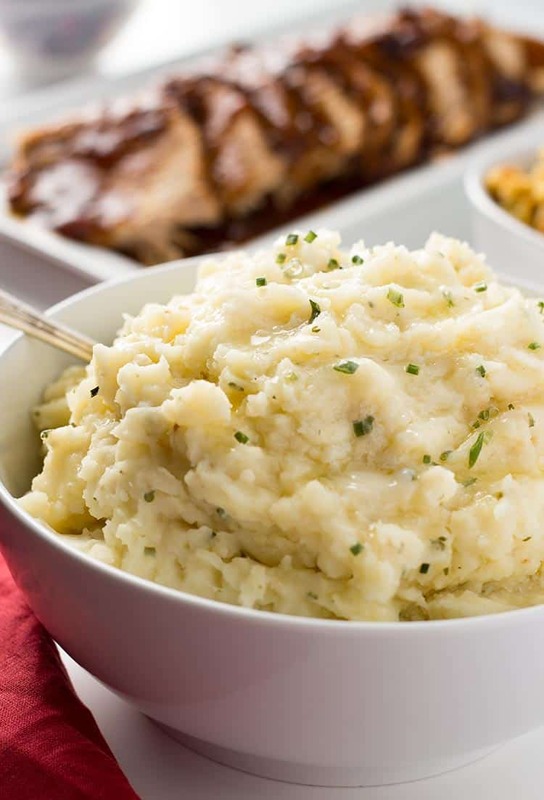 Mash potatoes using a potato masher or large spoon. Add butter, chives, parsley and pepper and continue to mash or stir until you've reached the desired consistency. Taste and add additional salt and/or pepper if needed. Serve immediately, prepare for freezing, or set your pressure cooker to Keep Warm to hold them until later. Allow potatoes to cool to room temperature. 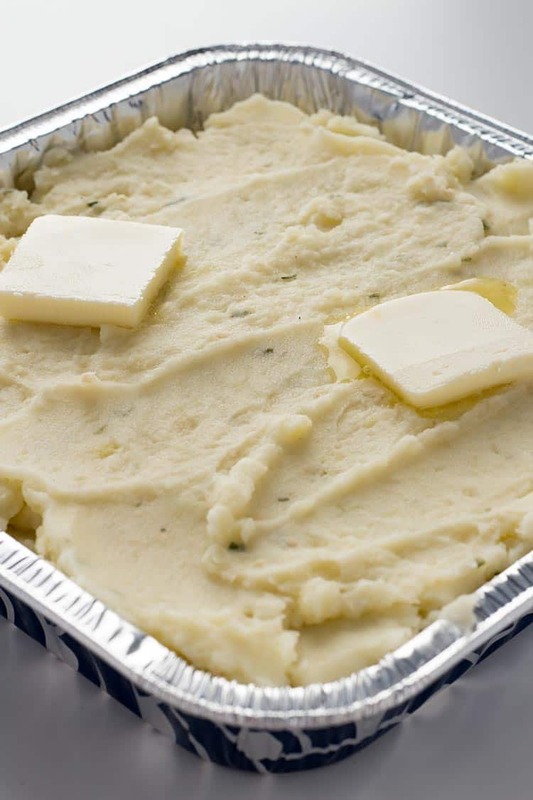 Spoon into baking dish or tray, top with additional pats of butter if desired, and cover. Label, date and freeze. 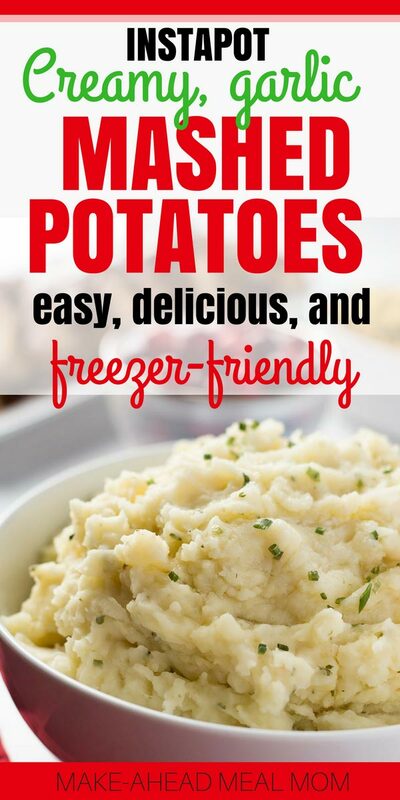 Remove potatoes from freezer and allow to thaw overnight in the refrigerator. Bake at 350 degrees Fahrenheit, covered, for 20-30 minutes until heated through.